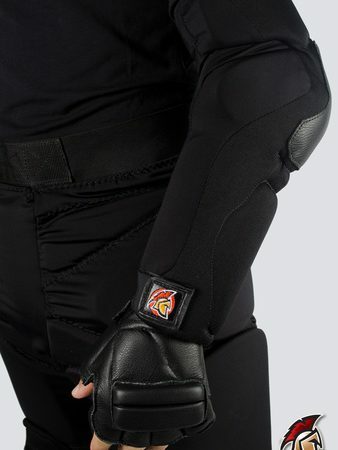 The Goddess Training Armour Vest is a complete re-imagining of traditional, padded upper-body protection and the most aggressive, warrior-styled training armour on the market today. 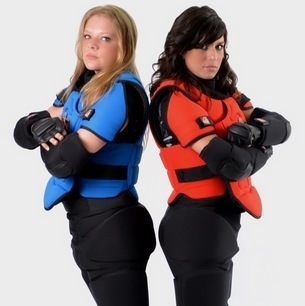 Available in four bold colors (Spartan Red, Blue, Military Green & Gunmetal Grey), the Goddess Vest offers a combined level of mobility, range of motion, functionality and overall protection unavailable in standard chest guards. 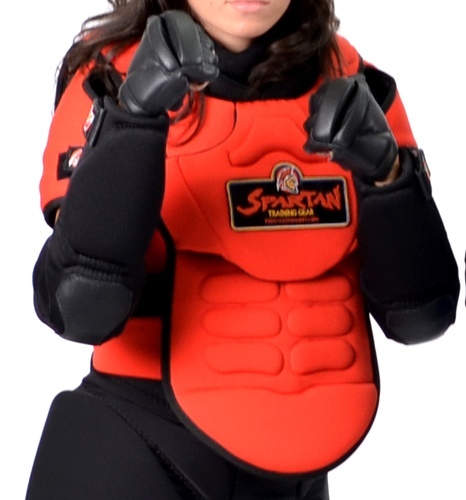 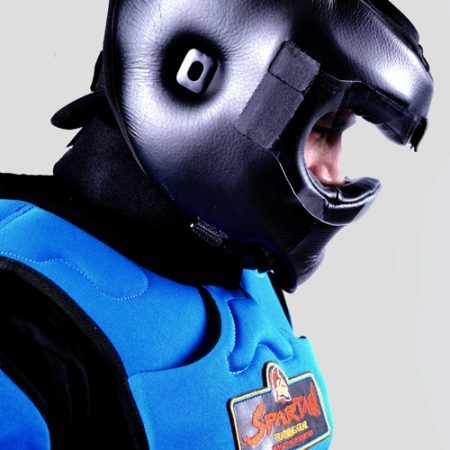 It’s strategically inserted plastic trauma plates, interior abdominal/rib brace, reinforced sternum shield, ballistic-front closure and layers of high density foam offer 360º protection for the torso including the abdominal region, solar plexus, ribs, sternum, kidneys, liver, shoulders, clavicles and spinal region. 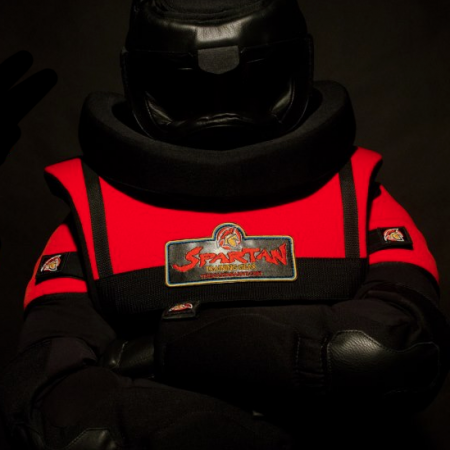 The Spartan Vest’s articulation makes it is perfect for close quarter battles, vehicle extractions drills, prisoner handling drills, grappling, clinching, groundfighting, stickfighting, MMA and various other martial disciplines.